Like most people, you probably thought the deadliest job in America had something to do with catching fish. Well, Douglas Scott Delaney’s here to tell you all about the actual deadliest job in the country, and the saddest part is, these workers die regularly for the oh-so-noble cause of better cell service. 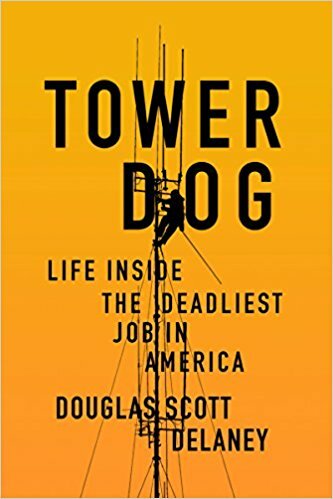 In Tower Dogs, Delaney recounts his career climbing impossibly tall towers to fix parts, install upgrades, and narrowly escape death. It’s a workplace of rough and tumble characters, men and women who live on-the-edge, quite literally.